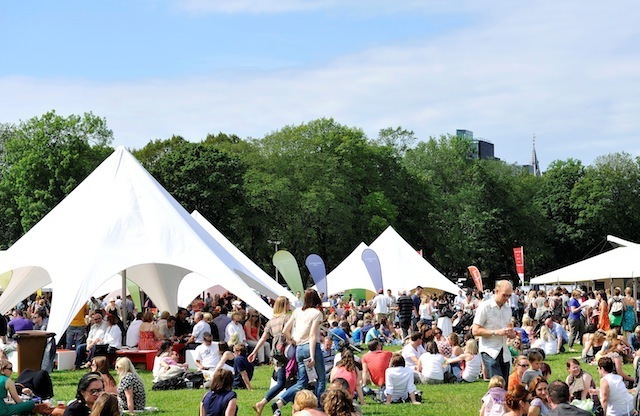 Alfresco foodie festival Taste of London, now it its 10th year, comes to Regent’s Park tomorrow, running from Thursday 20 June to Sunday 23 June. The much-feted gastronome's paradise boasts a host of collaborations, demonstrations and, of course, loads of irresistible food. The Electrolux Taste Theatre is the Mecca of the long weekend, showcasing the vast experience and creativity of renowned chefs from across the globe. In keeping with this year's theme of 'collaboration and reunion', we'll be seeing a celebration of both old-school and upcoming talent, and international chef pairings. Topping the 'must see' list is ‘In the Kitchen with Three Generations of the Roux Family’ – Albert, Michel (Jr) and his daughter Emily – making their cooking debut as a trio. The wider series will feature Nordic chef Magnus Nilsson from Faviken in Northern Sweden, brothers Chris and Jeff Galvin whipping up some French delights, ZUMA founder Rainer Becker, and Gennaro Contaldo and Antonio Carluccio AKA the ‘Two Greedy Italians’. The Michelin-starred godfathers of Taste, Gary Rhodes, Michel Roux Jr and Alfred Prasad, who helped launch the event in 2004, will be collaborating on-stage in honour of the 10th anniversary. Other appetite-whetting pairings include Pierre Koffmann and protégé Tom Kitchin, Francesco Mazzei and Alfred Prasad, and an intriguing Franco-Indo combo when Vivek Singh and Eric Chavot combine culinary forces. Throw into the mix Ashley Palmer-Watts (Dinner by Heston Blumenthal), Raymond Blanc, Eric Lanlard and the Baker Brothers — and too many more to mention – and you've got a enough to keep you going till Christmas. There are plenty of chomping opportunities, from Babbo (Italian), Gordon Ramsey’s Maze (European), Spice Market (Asian fusion), Cinnamon Club (modern Indian) and Roka (Japanese), bringing the fruits of the world to this central London location. A milestone is worth throwing a party for. So, for the first time, there's a bandstand with musical entertainment, courtesy of Sadie and the Hotheads and Josh Osho, two name a couple. Food, music and a chance to learn a thing or two in the kitchen. If the weather holds out, we won't be standing the heat, we'll be enjoying it.